Google disclosed the existence of the new search formula Thursday at an event held in the Menlo Park, California. The new search algorithm is based on a very highly guarded formula and will henceforth power the Google search. Insiders say that Google has completely retooled the way Google Search gives answers to the complex and often incomprehensible queries the Google users come up with. It is also said that the 'Hummingbird' has been activated last month itself and is gradually rolled out hence the effects of the search changes and web traffic have not been noticeable to the bloggers and webmasters. One of the main ingredients of a web search is called 'Keyword' and Hummingbird is supposed to have changed the 'Keyword' algorithm altogether to a newer redesigned 'Keysentences' so that a exact phrase can be put up to match the Google Search users queries with best possible result. 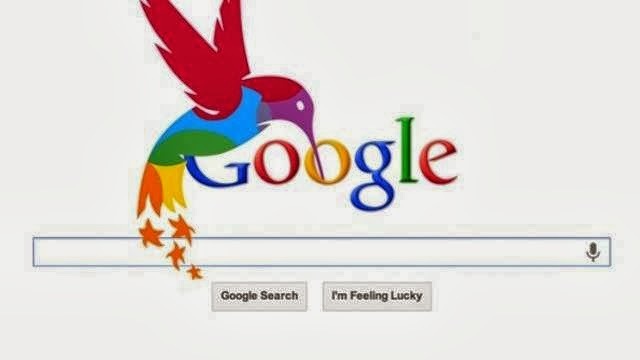 The Hummingbird is going to affect nearly 90% of all web searches taking place on Google Search as per Amit Singh, Senior VP at Google and head of its core ranking team. The changes could have a major impact on traffic to websites all over the world as it revises the way Google indexes websites. The present indexing design was activated three years ago as part of a redesign called "Caffeine"
Bloggers and Webmasters may note that any redesign of the search parameters will have a big impact on their visitor stats as Google is the prime handler of search requests all over the world. If you remember, last week when the Google had an outage due to technical issues, 40% of web traffic was affected. There is also a good news for bloggers. The Hummingbird will also drive up the price of Google ads as they will be based on a sentence parameter rather then word one and therefore Google will give a more targeted ad which turn will benefit both the publishers as well as the advertisers. If you want to do a indepth research on the Hummingbird head over to this Hummingbird FAQ page. Therefore if you notice any drop in your visitor stats or increase in your adsense revenue, you know whom to blame! Hummingbirds are madly in love with natural and relevant link profiles, links from relevant sources (and not just PageRank 7 sources), links from evergreen content sites, links from established, reputable online publications. Trust and authority remain king. How do we get that? Provide content that helps people solve problems, or better yet, teaches them something.